Though the Japanese dialect was spoken almost exclusively by individuals of Japanese origin until the mid-18th century, it is now largely a vernacular utilized by young white men who decorate their apartments with traditional Japanese prints and are devoted fans of manga [i.e. anime] artist Hayao Miyazaki. In fact, if present trends continue, we predict that within several decades the Japanese language will be spoken almost exclusively by fair-skinned twentysomething U.S. citizens who regularly purchase packaged seaweed snacks from small Asian markets and watch Akira Kurosawa films several times per month. Needless to say, the report is a fiction: the news organization that produced the article was the satirical publication The Onion. As is generally the case with such humor, though, the joke has a basis in reality. The Japanese language, and cultural products originally created in it, enjoy a level of popularity and prestige among English speakers—and indeed all around the world—that no other non-Western language or culture can match. This phenomenon is evident in all sorts of different areas beyond the now ubiquitous manga and anime: fashion (Issey Miyake, A Bathing Ape, Comme des Garçons, Uniqlo), art (Kusama Yayoi, Murakami Takashi, Nara Yoshitomo), food (sushi is everywhere, as are Japanese ingredients such as yuzu, “wagyu beef,” “jidori chicken,” and “kurobuta pork”). The Onion article simply played in its witty way on the seeming strangeness of the fact that so many people outside Japan feel so deeply connected to things Japanese. The extent to which Japanese cultural products have become part of the cultural landscape in places as far-flung as Australia, Korea, and Russia is all the more remarkable given how little contact there was between the inhabitants of the islands we now know as Japan and most of the rest of the world until the latter half of the nineteenth century. Until then, Japan participated, along with various other East Asian states, in a world that was centered on China. It was only in the 1850s that Japan, seeing how the British had used military might to compel China to open its borders, reluctantly began opening its own, first to the U.S. and then to European countries. This led, in fairly quick order, to the collapse of the regime that had ruled Japan in peace since the dawn of the seventeenth century, and hence to the Meiji Restoration of 1868 and the beginning of Japan’s modern period. As Japan entered into new, highly unequal relationships with the colonial Great Powers of the nineteenth century, fascination with Japanese cultural products quickly spread throughout the West. In the 1860s, artists, collectors, and just about everyone else became so enamored of “traditional Japanese prints” like those mentioned in the Onion article, along with lacquerware, porcelain, textiles, and other such objects, that new words had to be coined to describe their influence: Japonismse in France, the Anglo-Japanese style in England. Vincent van Gogh’s famous portrait of Julien François Tanguy, the proprietor of a small art supply store in Paris, makes it clear that the White 23-Year-Old American Male with the traditional prints on his apartment wall described in the Onion article was quite the late-comer to this particular fashion. Japanese literature and theater were somewhat slower to make their way out of Japan and into the consciousness of readers abroad. In 1882 a Japanese student at Cambridge named Suematsu Kenchō, published a partial translation into English of The Tale of Genji, a long work of prose fiction and poetry written in the early eleventh century by a woman known as Murasaki Shikibu. The Tale of Genji is widely regarded as the greatest masterpiece of Japanese literature and is counted among the greatest works of any literary tradition, but in 1882 it was praised less as a work of literature than for the glorious picture it painted of court life in the age that produced it. In the early decades of the twentieth century, medieval Noh drama and classical and early modern poetry served as an inspiration for poets such as William Butler Yeats and Ezra Pound, and in 1933 the publication of a second, nearly complete translation of The Tale of Genji, this one by the masterful stylist Arthur Waley, brought renewed attention to the tale as literature. But still the vast riches of Japan’s literary tradition, extending from the eighth century into the present, remained largely unknown outside Japan. This started to change in the wake of World War II. From the mid-1950s, major works of modern Japanese literature began to be translated into English and other languages—and, moreover, to be commercially successful as translations. In part, this push to translate was linked to a widely-felt need, both inside and outside Japan, to overcome memories of the brutalities of Japan’s imperial and wartime history. Literature could help promote an image of the country as peaceable and cultured. And so, just as the trauma of the all-but-forced “opening” of Japan helped bring Japanese arts and crafts to the notice of new audiences in the mid-nineteenth century, so too the trauma of Japan’s defeat in World War II inaugurated a new surge of interest in fiction and poetry—especially modern and contemporary fiction and poetry—from Japan. The modern literary works that came to be translated during the postwar period were a product of the changes that had transformed Japanese society beginning in the 1850s, as the country tried to fend off the threat of Western colonialism. They were created, that is to say, by writers who were—almost inevitably, by dint of their identity as Japanese writers—as well read in the literatures of the West as anyone else, anywhere. They participated in the debates and movements that stirred writers in the West, even as they engaged in new movements and debates entirely their own. Many learned to read English or other Western languages, and hung reproductions of Western paintings in their houses. And this cosmopolitan engagement with literature from around the world continues to inform contemporary Japanese fiction, too, as is evident from the more recent samples of writing collected here. For this reason, of all the charming, gripping works in this collection of literature from Japan, Shibata Motoyuki’s essay-like short story (or short story-like essay) “Walking the Keihin Factory Belt with Stuart Dybek” might be read as a sort of key to the rest. 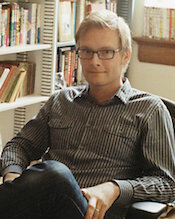 Not only because it contains elements of all five themes the editors have chosen— “Memories,” under which it has been placed, but also “Ghosts, Dreams and Visions,” “Love Stories,” “Leaving Home,” and “Transformation”—but also because of the relationship it depicts between two writers who come from places that are simultaneously very distant from each other, and very similar. Indeed, it seems to me that the notion that people and things can be both distant and close, different and similar, at one and the same time, is the thread that links the five themes of this unit, and by extension the works it contains. This dynamic plays itself out in all kinds of ways in these pieces—some obvious; some less so. In Nao-Cola Yamazaki’s touching “Cavities and Kindness,” beautifully translated by Kalau Almony, one gets the sense that the narrator—a twenty-three-year-old who dresses as a woman but has a man’s name, and whose gender is never made explicit—and Ito-san may be closer in many ways than either of them realize, even as they agree to break up. In Allison Markin Powell’s translation of an excerpt from Kaho Nakayama’s Sentimental Education, Nachi is described as being “like a stray cat,” living among humans without feeling entirely at home among them—reminding the reader, perhaps, of how only Takichi and the dog in “The Kiso Wayfarer” could sense when it was appropriate to be afraid. Reading the fiction, nonfiction, and poetry collected in this marvelously rich and varied unit, which includes works written from the end of the nineteenth century to the beginning of the twenty-first, one constantly encounters examples of this blending of near and far, sameness and difference. Perhaps this is simply an effect of the skill with which the editors have chosen these works; or perhaps it is a sign that this is one of the things literature, especially in translation, is very good at: helping us gauge certain kinds of distance in ways more complicated, conflicted, and accurate than would ever be possible with a ruler. Perhaps, reading these works, you will feel a bit like Shibata Motoyuki and Stuart Dybek in “Walking the Keihin Factory Belt with Stuart Dybek,” engaging in a conversation that you couldn’t have anywhere else with writers from other times and other places, against the background of a landscape that is both eerily familiar and wonderfully new. The Japan unit of WWB Campus was supported by a generous grant from The Nippon Foundation. Michael Emmerich is associate professor of Japanese literature at UCLA. He is the author of The Tale of Genji: Translation, Canonization, and World Literature, and the editor of Read Real Japanese Fiction and New Penguin Parallel Texts: Short Stories in Japanese. He has translated more than a dozen books from Japanese, including most recently Bullfight, The Hunting Gun, and Life of a Counterfeiter, all by Inoue Yasushi. Where Have All the Sundays Gone?